Shelly Kagan is the Clark Professor of Philosophy at Yale University, where he has taught since 1995. He was an undergraduate at Wesleyan University, and received his PhD in philosophy from Princeton University in 1982. Before coming to Yale, Professor Kagan taught at the University of Pittsburgh and at the University of Illinois at Chicago. 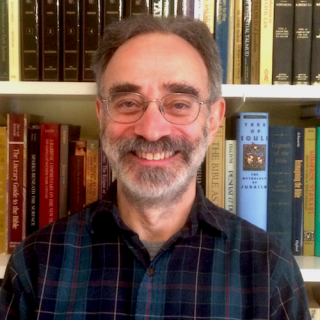 Professor Kagan’s research focuses on normative ethics. Among other topics, he has published articles on the nature of well-being, Kantian ethics, the role of game-playing in utopia, and the use of moral intuitions in moral philosophy. His first book, The Limits of Morality, was a philosophical attack on two widely held views about the demands of morality, and his textbook, Normative Ethics, is a systematic survey of the field. His most recently published book, The Geometry of Desert, uses graphs to reveal the hidden complexity of the concept of moral desert. He is currently writing a book on Henry Sidgwick’s Methods of Ethics and another on animal ethics. Professor Kagan is a popular lecturer at Yale, where his two introductory classes, Intro Ethics and Death, have often attracted more than two hundred students. A book based on one of these classes, Death, has been a national bestseller in South Korea, and the lectures from this course (which are available online at http://oyc.yale.edu/philosophy/death/), which have been viewed around the world, are particularly popular in China and Korea.